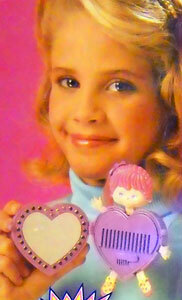 "Magical little beauties with a secret beauty surprise!" 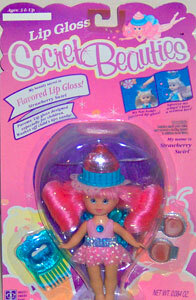 Secret Beauties were produced by Hasbro in 1992. 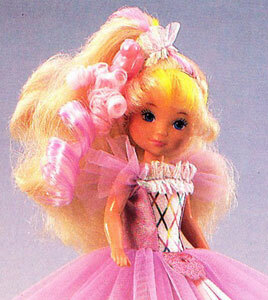 They were dolls with real cosmetics hidden inside for little girls. 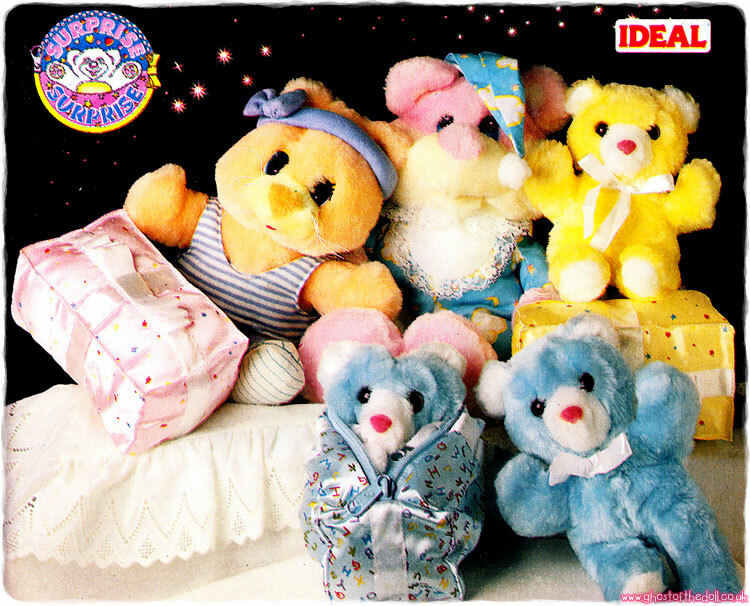 There were four styles of Secret Beauties available, and each set contained six different dolls. 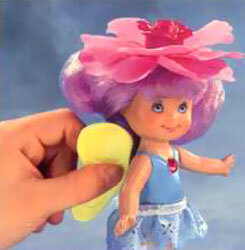 Each doll came with a skirt, varying head piece and comb which in some cases doubled as a stand. 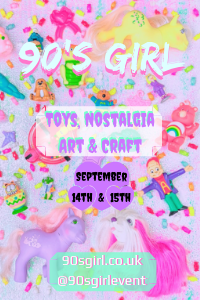 Images on this page thanks to ParryGamePreserve, Spiral Toy and eBay seller itsaclassic ! 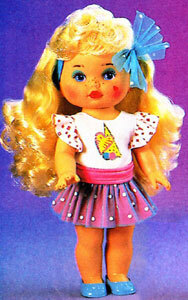 View all Secret Beauties on eBay.com or eBay.co.uk ! 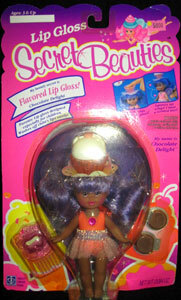 "My hat holds flavoured lip gloss!" 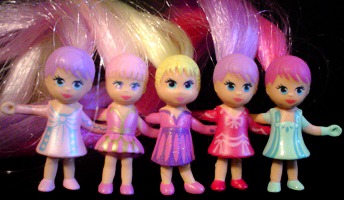 There were six Lip Gloss Secret Beauty dolls produced, four white dolls and two black dolls. 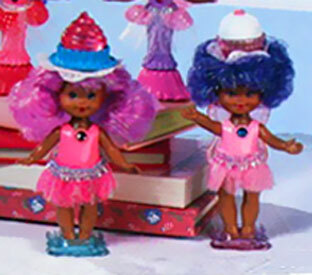 The dolls wore a sweetie hat that little girls could remove for a flavoured lip gloss surprise.